Registration for BSAVA Congress 2019 – the largest event in Europe dedicated to the provision of small animal veterinary CPD – is now open! Next April’s event features an expanded scientific programme of international speakers offering more than 450 hours of CPD, a wide range of wetlabs, practical and small group sessions, and the largest small animal focused exhibition in Europe, with ground-breaking ideas and pioneering technology to help shape the future of veterinary science. 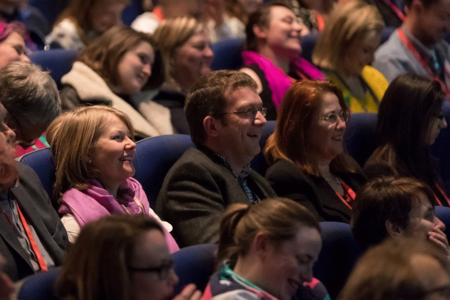 New for 2019 are an Advanced Practitioner stream, content delivery in accessible formats, and a lecture theatre within the exhibition floor meaning access to latest industry insight and relevant CPD from leading companies. Due to popular demand the ophthalmology stream makes a return, and well-received cardiology sessions will have an increased capacity, while an interview format will be available in immunology. There are also the annual BSAVA Awards honouring the profession’s outstanding individuals, a keynote lecture from ‘black box thinker’ Matthew Syed, and a full social programme including Movie Night on Thursday and Friday and the new V19 Beach Party on Saturday evening. 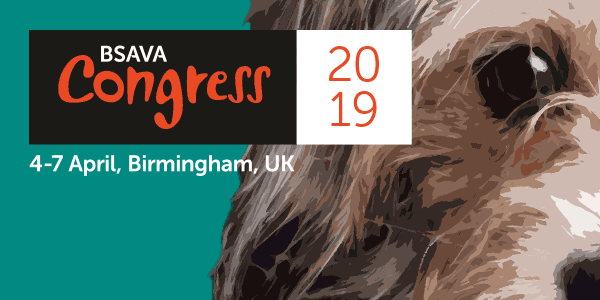 The 62nd annual BSAVA Congress takes place at the Birmingham ICC and Arena Birmingham from 4-7 April, including the much heralded ‘Beyond the Clinics’ personal development stream aiming to create holistic support for the profession. Angharad Belcher, BSAVA Head of Congress said: “In a rapidly changing landscape, BSAVA Congress continues to provide evidence-based science for all small animal vets and nurses, regardless of their speciality and experience. “We are still the only event that gives vets and nurses all their CPD hours in one place, combined with an exhibition and full social programme. Delegates attending the full four days of Congress can gain up to 31 hours of CPD for a vet or up to 30 hours for a veterinary nurse, with practice management content as well. Registration and more information are available online here or follow @BSAVACONGRESS for the latest news.